Lil Wayne and Birdman falling out over unpaid royalties was a Hip Hop tragedy. We have seen Wayne grow from a Hot Boy to the Best Rapper Alive to when is the next Carter Album dropping. Seeing Weezy say f*ck Cash Money at a concert was crazy. I knew it was real for a man to confront someone he called his father. They say family and business don’t mix, but this moment was huge for hip hop and fans of Lil Wayne. We Should Have Seen This Coming!!!! The Universe is funny. If Weezy and Birdman don’t fall out, Birdman isn’t asking for respeck on the Breakfast Club. Would Young Thug sign with Birdman if Wayne and him are still good? Rick Ross doesn’t drop “Idols Become Rivals” on Rather You Than Me. They settled the Cash Money lawsuits in June. Let’s keep it 100, Are you being seen in public with someone you just had a dispute with in court? We all know rappers are prideful. It wouldn’t have surprised me if Wayne and Birdman didn’t speak for about 5 years. The cherry on top is not only did Birdman apologize they performed “Still Fly” together. How It All Went Down?? The annual Lil WeezyAna Fest in New Orleans celebrated the 10th anniversary of Tha Carter III. The Festival was highlighted by performances by Jeezy, Youngboy NBA, and Tory Lanez. Nicki Minaj did songs and thanked Wayne for helping launch her career. 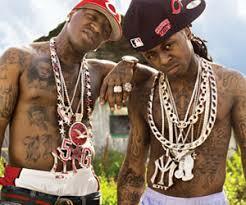 Birdman apologized and promised Wayne that they would do this till the day they die.